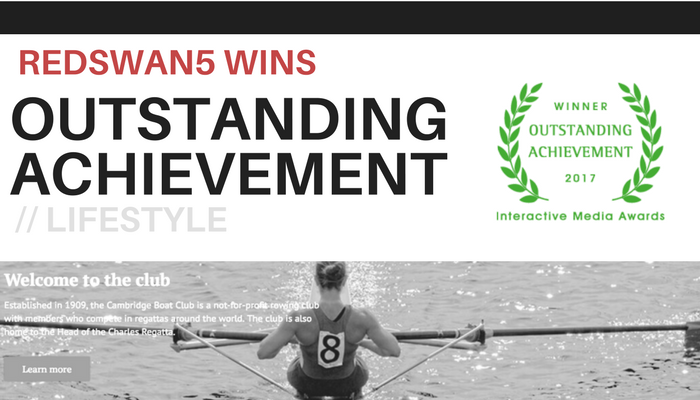 The 2017 Interactive Media Awards recently announced (much to our pleasure) that we are the winner of two outstanding achievement awards — one in the science/technology category and the other for a lifestyle site. 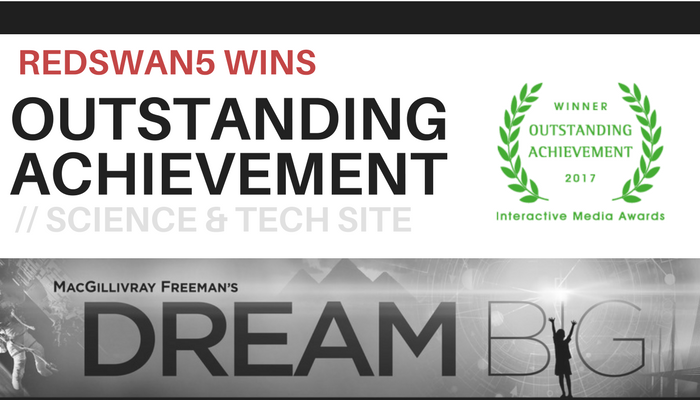 The science/technology category is for our work on the educational site to support the IMAX film Dream Big. Dream Big is focused on STEM (Science, Technology, Engineering, Math) and is meant to motivate kids of diverse backgrounds to become the innovators the world needs. The film has an ongoing educational, museum and community effort to expose young people to engineering. Our awesome client, DiscoverE, a global leader in supporting engineering for K-12 by uniting, mobilizing and supporting volunteer communities, made this project possible for us. Our team also got to work directly with the American Society of Civil Engineers (ASCE) and MacGillivray Freeman. And yes, there’s more. We also were tapped for our work with Cambridge Boat Club, a 100-year-old boathouse on the banks of the Charles River in Boston. (The original site might have been 100 years old.) The beauty is in what you can’t see – an operational database that connects finance, events, membership and rowing data into a single location. We also introduced online payments — which improved the invoicing process and saved the club both time and money. Ultimately, our work is always judged by the site users and not award committees. For both these projects, our team and clients collaborated to create a brand experience that makes people’s lives better. 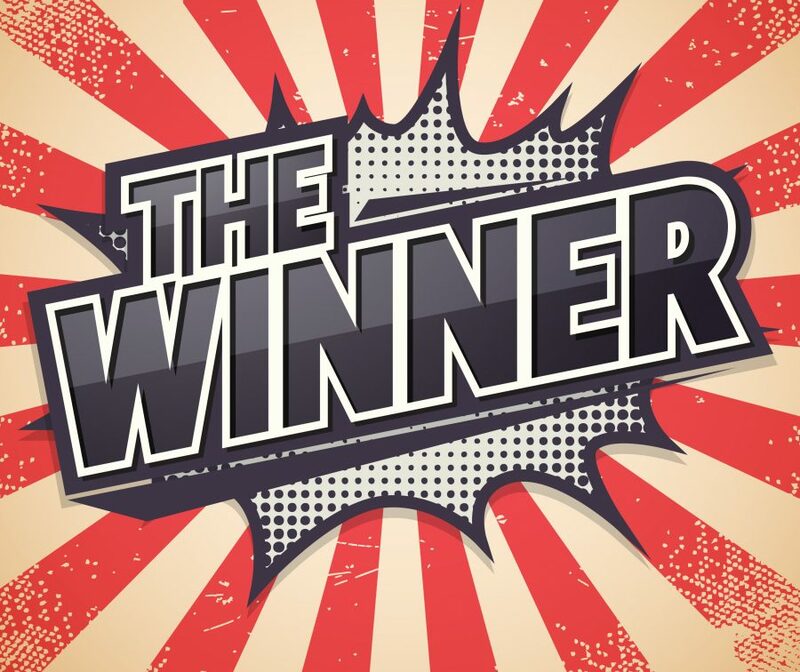 For a young digital agency, however, the awards help on two fronts. The judges’ feedback, which put us just a few points away from “best in class,” provides a great educational opportunity to embrace what we know is working and push a little harder in other areas.